Easy to wear lgiht with simple On/Off push button 160 lumen, Great for outdoors, trekking and night adventure walks Best handsfree light for mountain/rock climbers Special Zoom Headlamp Must have trekking accessory Features: Zoom 3W LED headlamp. Anti-wind, anti-rain. Lamp head can swivels 90 degree. 3 Modes: strong, low and flashing. Powered by 3 x AAA batteries (Battery NOT included due to mail restrictions), Adjustable elastic head strap, easy to wear. Features high intensity single LED. Provides long lasting, powerful and portable light. Mini size, light weight. Suitable for hiking, camping, fishing, cycling, hunting, repairing workshop and other outdoor activities. Color: Blue or Orange. 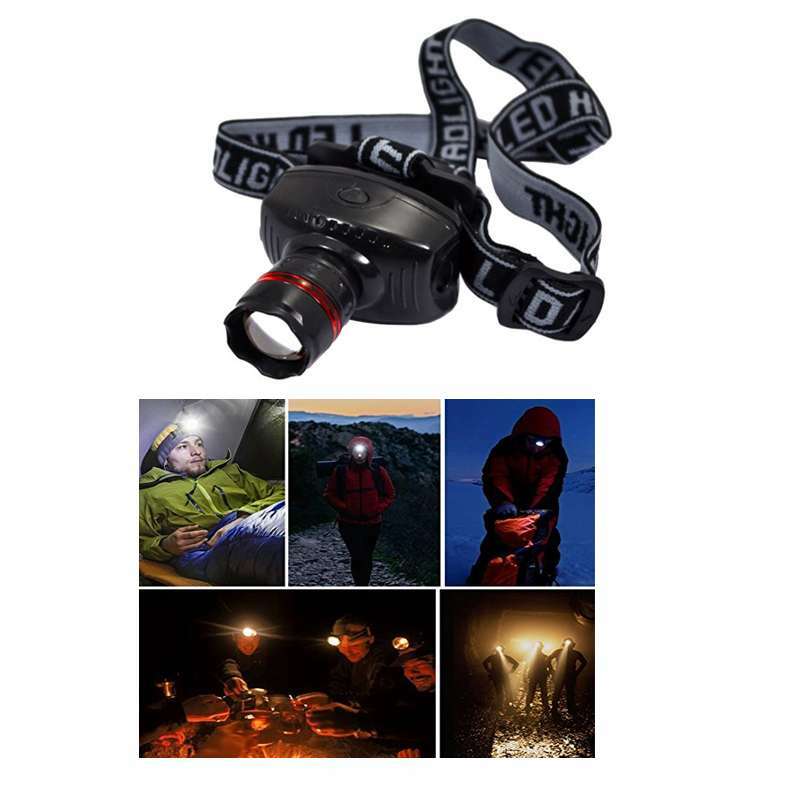 Package Included: 1 PC Zoom Headlamp. NOTE: Please ensure the metal strip on the battery holder is appropriately inserted into the grove provided in the casing. Failing to do so will result in the headlamp not switching on.